We are less than thirty days away from hitting the road for ten months, travelling around Australia on our (re) Discover Australia Adventure. This journey is the beginning of our longer term (re) Discover The World Adventure. You can go big on a trip like this and buy a campervan that can cost the price of your first born. Prices are somewhere around $150,000-$500,000. Who knows what the price of the petrol would be, to even be get a campervan like that off the lot! A lot of foreigners arrive in Australia and buy a cheap campervan. Australian’s tend tow their way around the country with a camper trailer or caravan. We’ve decided to do neither. We thought of travelling around in a campervan. Our experiment with renting one for Outback NSW proved quite successful despite the shortcomings of going ultra cheap. As we shopped around for a campervan to purchase, we realized (sadly) we aren’t the young hip things we once where. We’ve grown accustomed to our creature comforts and a rust bucket campervan that continuously rattled around Australia just wouldn’t fit the bill. When we looked at what we would be content with, the cost soared up to at least $50,000. For ten months, that was unrealistic, even if we could resell it when we’re done. To be confined to caravan parks for the next year was gave us chills. Oh, we knew we’d have the option to free camp but we had to consider power. To do that, we needed caravan or holiday parks. Caravan parks get awfully crowded and planning around school holidays would kill us. We’re finally PAST that! One thing we knew for sure. We wanted way more freedom than that. We looked instead at using what we had. 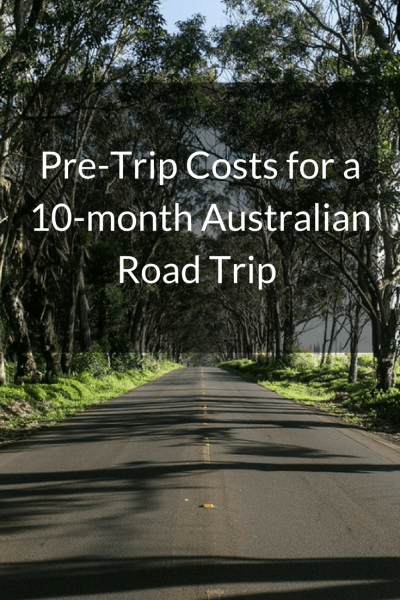 After we crunched the numbers, we knew this was a way we could spend ten months exploring Australia well, but doing it the way we like to travel: Frugally – but still be comfortable! 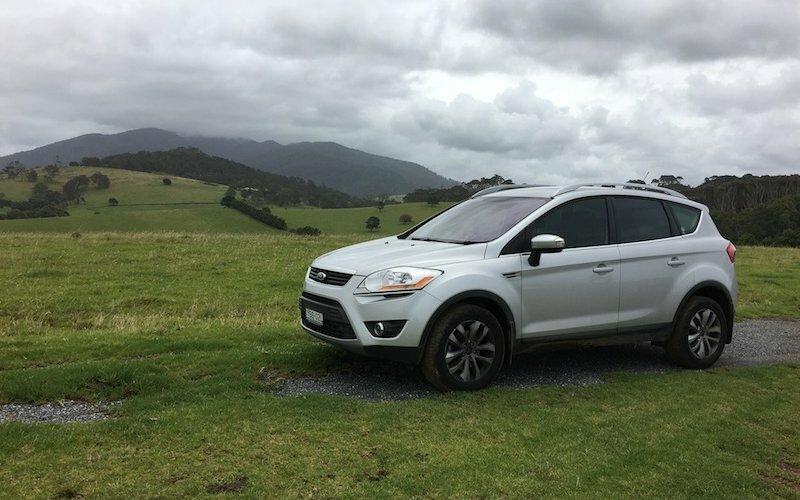 With our five-year-old Ford Kuga and our own camping gear, along with our AirBnb and House Sitting apps, we’re ready to go. It’s cheaper to stay on the east coast of Australia using AirBnB accommodations than staying in Holiday Park cabins or hotels. House sitting is a great way to keep the costs down, as long as you have solid references. Sometimes a police background check is required too. 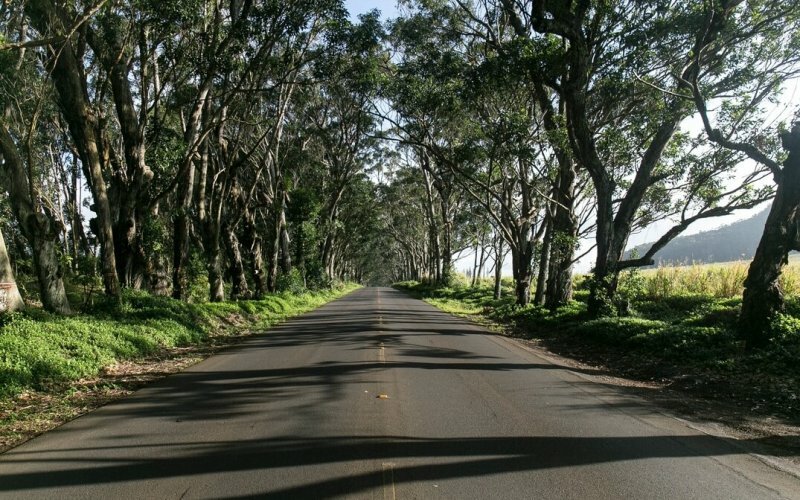 A lot of free camping opportunities are available as you head west. Even with our tent, we’ll be able to take advantage of this. However, before we begin the adventure, we need to make sure we have what we needed for this ten-month road trip adventure. Even with the pre-trip expenses, we will spend about a quarter of what we would living in Sydney. Here is an account of everything we’ve purchased in preparation of our trip. Hopefully this will help you prepare for your own adventure around Australia. We are using our own car, a 2012 Ford Kuga. We purchased it in 2013 as a demo model when we moved to Sydney from Texas. The car currently has 42000 km on it. It’s an AWD model and is like new. Our Insurance & Registration is through NRMA. These expenses are yearly and are due for us in May and July, so they are not a preparation expense we will account for them. When they are due, it will be around $1200 combined and we will budget for that in for those months. To make sure it was roadworthy, we had new tires put on the car. After doing extensive research, we took the car to Bob Jane T Mart and had four General Grabber tyres installed. We added nitrogen to the tires, beneficial for this type of road trip, for an additional $30. We have our car serviced through Ford, so we receive a one year NRMA roadside assistance fee as a part of that service. We have vertical rails attached to our Kuga, but needed horizontal rails to attach to those before we added a Thule Motion pod. An extra 420L of storage provided by the Thule pod will help keep our car organised. Bulky, soft items like sleeping bags, other light camping gear, and extra clothing will fit nicely up there. Buying this dayroom for us was a no brainer. We’ve been on the search for a while now for a good canopy solution for when we’re camping. Having suffered through erecting a tarp for more recent camping, we knew that our sanity couldn’t take the stress of that. The benefit of having shelter for those rainy days and evenings and to keep the bugs out was well worth the investment! We got the dayroom on sale during the summer sales. Rather than dealing with the pain of buying ice for our esky, we purchased a Waeco 50 FX with cover from Anaconda, taking advantage of the summer sales once again. We determined that by investing in one up front, it will pay for itself in five months by saving us from buying ice every day. At the end of the road trip, we can either sell it at close to the purchase price, or store it for future use. Going back to that point of being comfortable, having sleeping pads is imperative for these old bones. We’ve done a lot of research here too and after lugging around some 4WD Dune sleeping pads that take up half the car and take two people to roll them back up, we’re getting with the technology program and upgrading to better ones. Mountain Equipment had exactly what we needed. Since I was already under a Telstra plan, we purchased a WIFI device and moved Rich under my plan. Now we have 39GB per month to share between 2 phones and our mobile WIFI device. So, when we can’t leverage WIFI elsewhere (i.e. AirBnb, housesitting) we won’t be left high and dry and can still manage our business on the road. Telstra, by the way, provides the most coverage of any provider in Australia. Rich has been researching a cloud-based backup solution for years. We decided after much deliberation to go with Crashplan. With 55,000 photos on my computer CURRENTLY, we weren’t willing to go with a cheap, fly by night solution. We also already have physical backup drives for our computers. With my Misophonia and Rich’s love for audiobooks and podcasts, we have both invested in good headphones. Rich has gone with new with [x]. I’m going to use our existing Bose noise-cancelling headphones that have lasted for a few years now. I’ll replace them when they wear out. Oh my god, I love this camera. I purchased it locally from Camera House, who provided phenomenal service. Included in the cost was Olympus EM-1 w/12-40 Pro lens; Lexar 32GB SD card; Battery; UV Filter. We bought this camera before we headed off on our Outback NSW road trip. We bought it ahead of the bigger trip, to get used to it, work out the kinks etc. We needn’t have worried. It’s the best camera I’ve ever had – and I’ve had quite a few! It’s the ultimate travel camera for the serious amateur photographer. BONUS: Click here for a free e-learning photographic course with every camera over $199 with Camera House. We have a sponsorship with Mountain Designs, who provided us with an Escape 40L Daypack that I absolutely love. We also have two other packs that we’ll be leveraging for this trip that we have owned for years. Note: We’ll be keeping track of our expenses along the way, so keep coming back and you can see how we do. 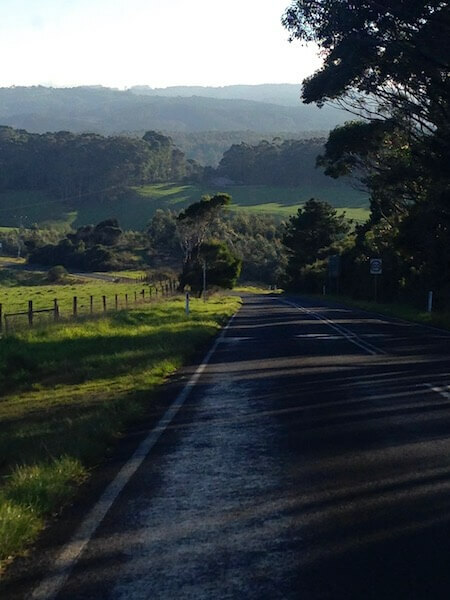 Our 10 Month Australian Road Trip Plan – Updated! Actually we did both on our 10 month road trip through Australia. We lost the dayroom in a massive storm in the Flinders Ranges. The fridge has been useful no matter where we’re driving. Travelling with camping gear gave us an opportunity to be outside and balance it with housesitting when we could, airbnbs or hotels when the weather was nasty. So I’m a bit confused, if you’re staying in hotels ? airbnb s etc, why the camping gear and day packs, and fridge? Will you spend a few nights sleeping in your car and suchlike? Or is your daytent / sunshade thigy actually a tent you can sleep in? Rich responded “Probably, but we’d also be broke.” A good reminder. Who knows, things may change but right now, I’m enjoying someone else’s electricity and appliances in our AirBnb stay, as we enjoy a much needed rest before we beach camp for a week. I’ve often wondered whether it was worth spending megabucks on a rig so you could free camp – your decision and the reasons behind them make perfect sense AND leave you more $$ to actually spend on the road. For the record, we made an initial outlay of ~ $7000 for a 2nd hand 1983 Jayco Dove camper trailer for a 10 month trip starting in 1998 – that has worked for us (also lived in it for 18 months) and we still use it now as our main accommodation. But if we were starting out now, we’d certainly consider the options you’ve taken – it’s a different world on the road than it was 19 years ago! Look forward to seeing how you go! !